The Sapphire Coast stretches from Bermagui in the north to the Victorian border south of Eden, and is a New South Wales hidden gem. It is home to lots of white sandy beaches, national parks and wildlife, food and wine and art and culture. It is a destination that has something for everyone. 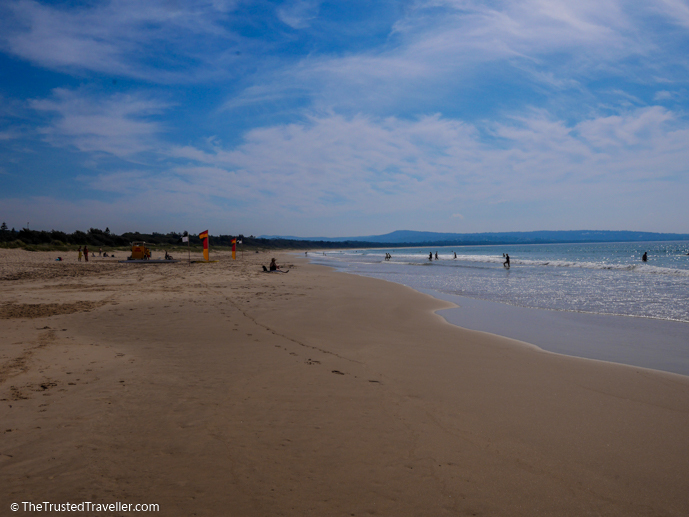 Just over five hours drive from Sydney, three hours from Canberra and six hours from Melbourne, the Sapphire Coast is an easy long weekend destination, or you can do what we did and spend a whole week discovering everything it has to offer. We hope these things to do on the NSW Sapphire Coast help you put together a vacation to this truly beautiful part of Australia’s NSW South Coast. 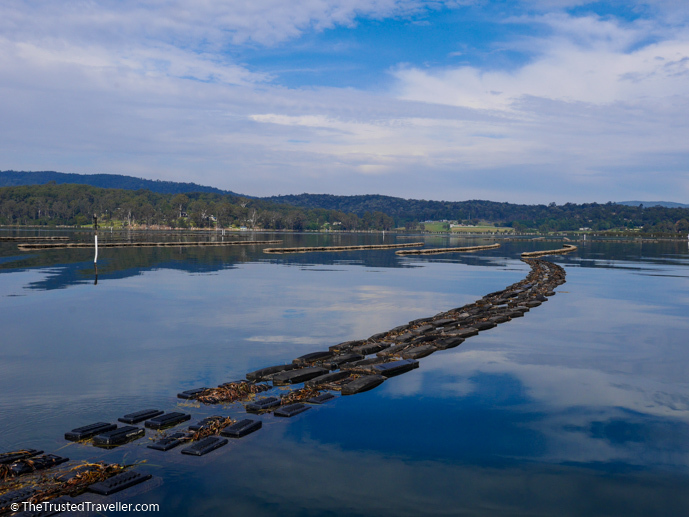 Learn more about oysters, the business of farming and the producers themselves on this excellent tour. Brett, or Sponge as he likes to be called, runs regular tours of the Pambula Broadwater on his oversized, kited out, oyster punt and is one of the few people to run an oyster tour on the NSW South Coast. You can read more about our experience on this tour here. Address: Tours depart from the Pambula Lake Jetty at “Broadwater” just off the Princes Hwy. Hours: Tours last for about 1.5 hours and run dependent on numbers. Bookings essential. Named after entrepreneur, Ben Boyd, the park was first established in 1973 and encompasses an area of over 10,000 hectares. It’s the perfect place for nature and wildlife lovers to explore with plenty of excellent walking tracks, interesting geological features and structures, beautiful beaches and opportunities to spot wildlife. You can read more about all the things to see and do in the park here. 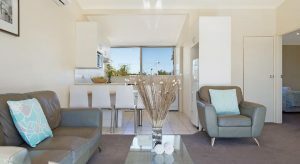 Address: Access is both north and south of Eden on the Princes Highway with two main park entry points, Haycock Road for the northern section and Edrom Road for the southern. Cost: $8.00 per vehicle per day payable using the self-registration service in car parks throughout the park. Hours: The park is open 24 hours a day, 7 days a week. Parts of the park can close due to poor weather or fire danger. 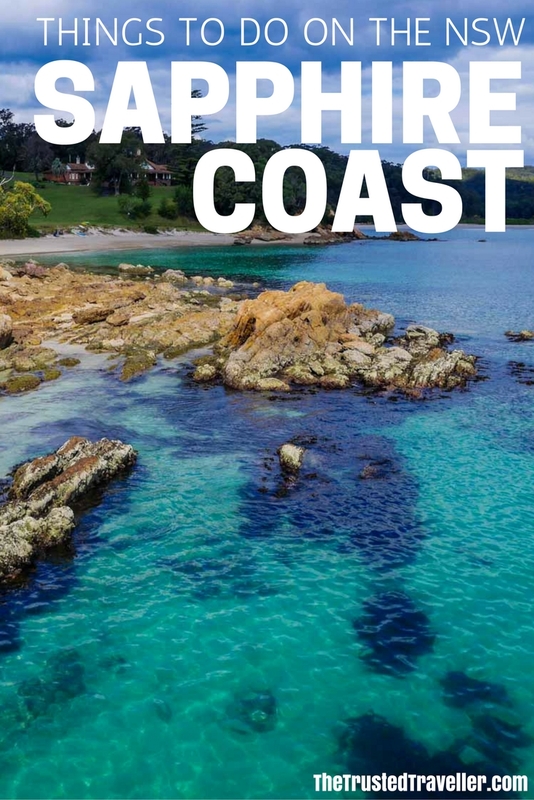 The Sapphire Coast is littered with stunning beaches that can be enjoyed all year round. In summer, spending a day at the beach is a must. Just make sure you swim between he flags and apply sunscreen to protect you from the hot Aussie sun. And when the weather is a little cooler, but the sun shining, the beach is a great place for a stroll and you’ll usually find them deserted. From September to November each year humpback whales can be seen off the Sapphire Coast making their way south to Antarctica for the summer. 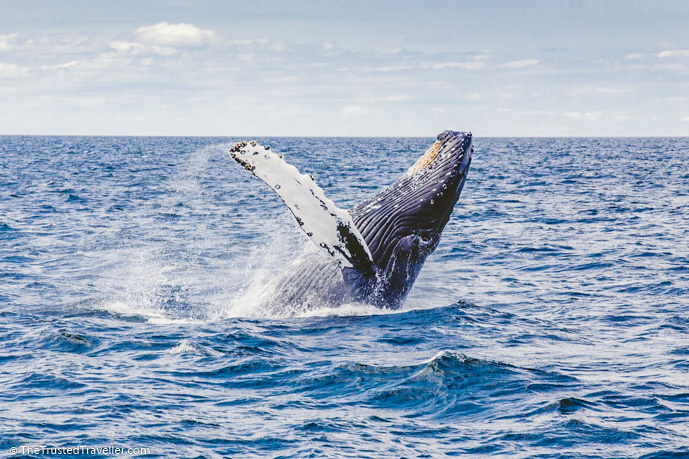 There are of course lots of places where you can spot them from the shore but the best way to get up close to these incredible creatures is on cruise. 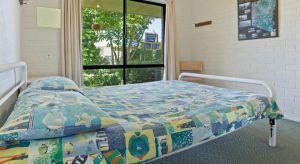 There are a few tours that run in the area so check in with the local visitors centre when you arrive on the coast to find out which tours are operating during your stay. They will be able to help you with more information and even book you in. More Information: Find a visitors centre here. 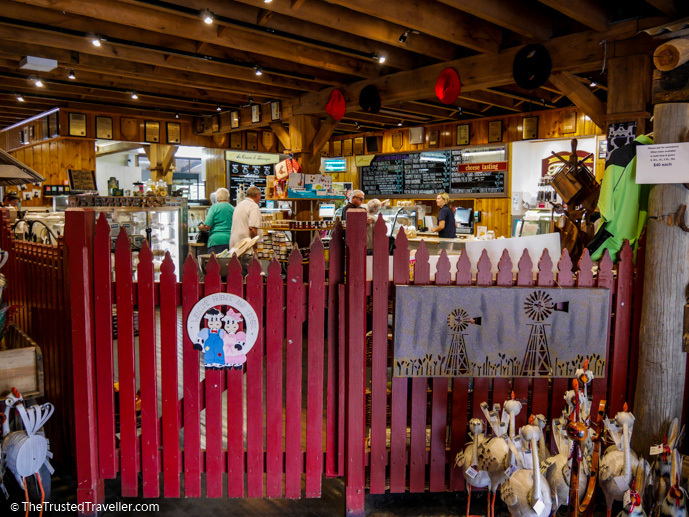 Like us, most Aussies grew up eating Bega Cheese, so it was a given that we should visit the Bega Cheese Heritage Centre while on the Sapphire Coast. It’s a great place to visit and try the full range of Bega cheeses including ones that are made for export overseas only. They also have other dairy products for you to try and buy as well as a café where you can buy meals made from their dairy, like delicious milkshakes! 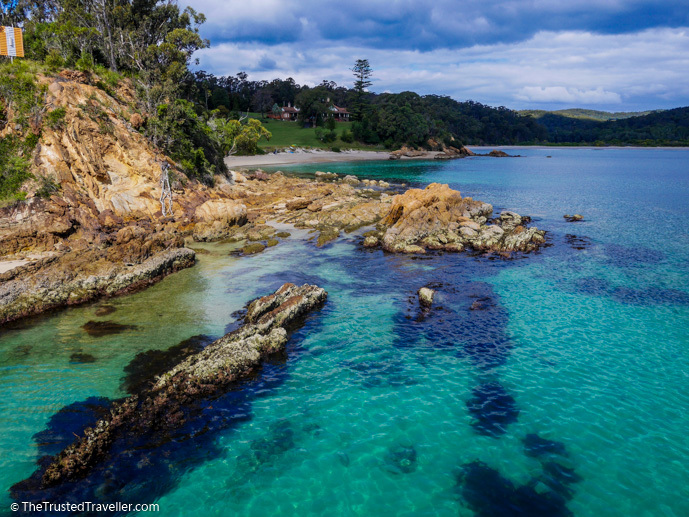 The Sapphire Coast is a nature lovers paradise so getting out and exploring it on foot is an excellent idea. There are lots of walks in the region but here are just a few we think you should know about. 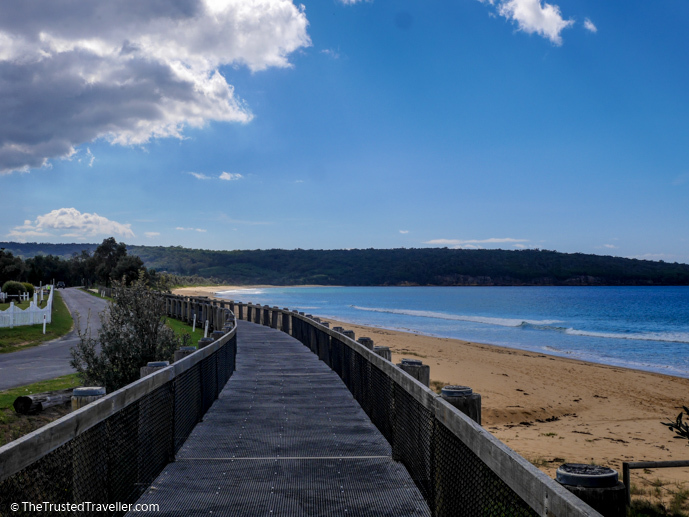 Merimbula Boardwalk – This walk leaves from right in the heart of Merimbula and follows the water’s edge for 3.4 km to Lakeview Drive. It is flat all the way and easy for all fitness levels. Eden Boardwalk – This walk takes you around Curalo Lake and along Aslings Beach. The lake part of the walk is 6 km and it is flat making it easy for all fitness levels. Mt Imlay – This challenging half day walk to the summit is 6 km of steep track that requires a bit of rock climbing and scrambling. Your efforts are rewarded at the top with nice views of the surrounding area. Ben Boyd National Park – There are lots of great walks in Ben Boyd National Park including the multi-day 30 km light to light walk plus lots of short walks with something for everyone. See the section above on the park for more info. 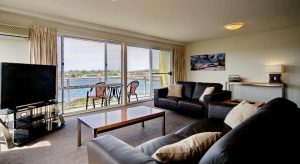 Here are our top picks for accommodation in Merimbula which is a central place to base yourself for exploring the region. 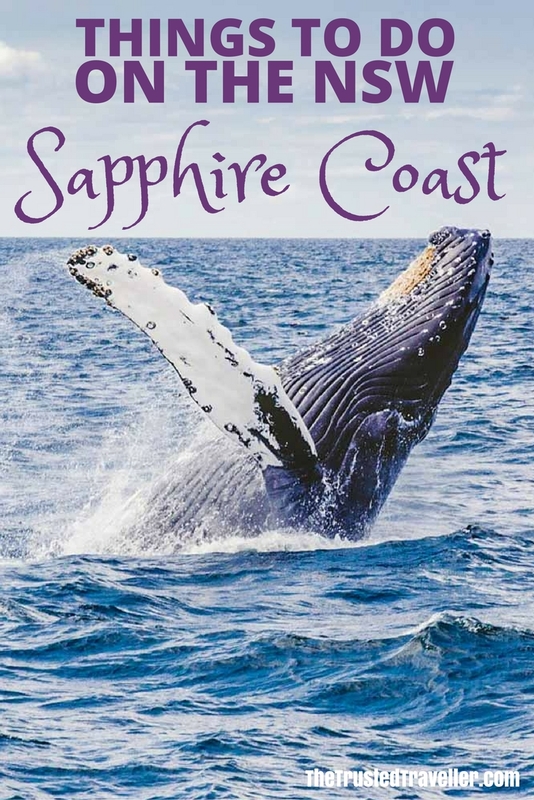 Of all the things to do on the NSW Sapphire Coast, what are you most keen to see and do?